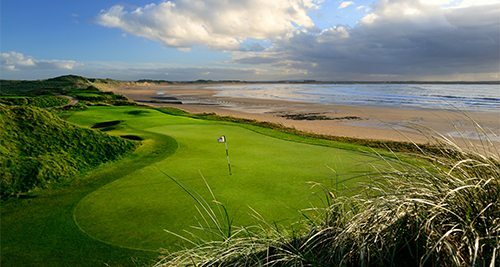 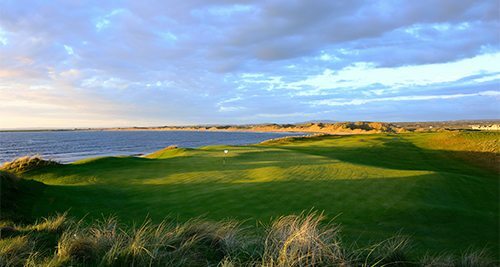 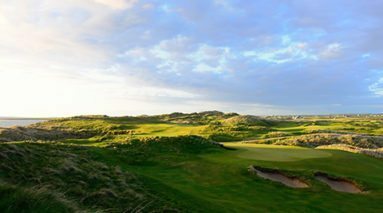 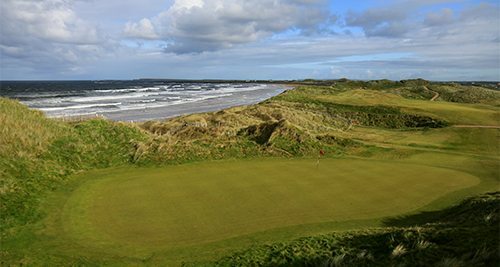 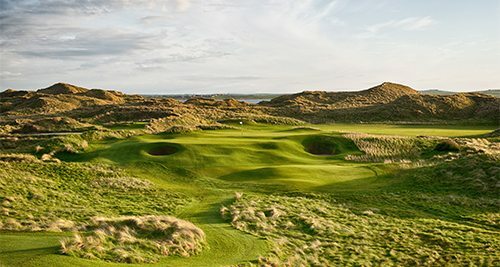 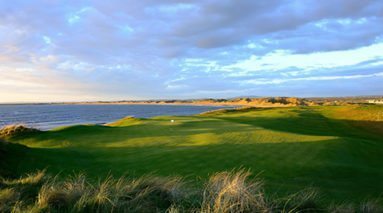 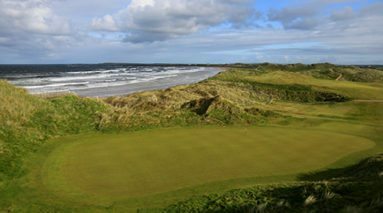 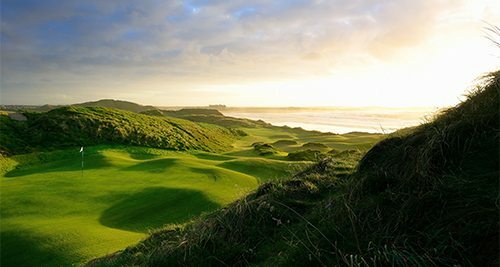 Trump International Golf Links & Hotel, Doonbeg is one of Ireland’s top golf resorts and only 5 Star Hotel with a championship Links Course. 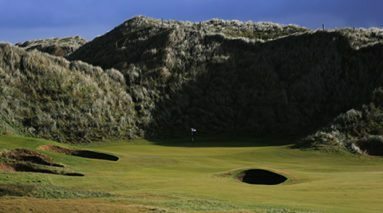 Opened in 2002, the 18th-hole layout is years ahead of its age. 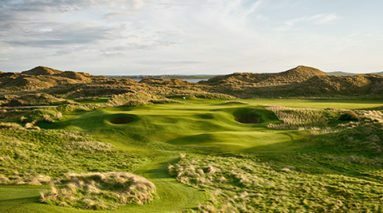 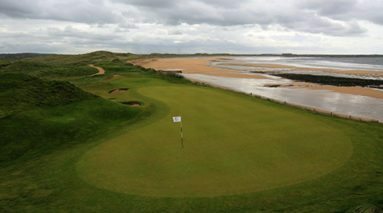 The course is set in stunning natural surroundings, from the wilderness of the Atlantic Ocean that dominates the golfer’s line of vision to the near-100 foot sand dunes that frame the links course. 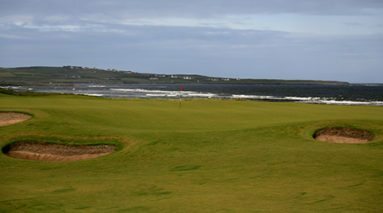 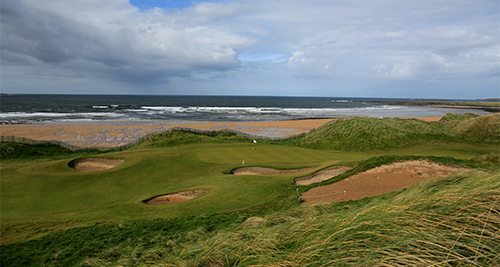 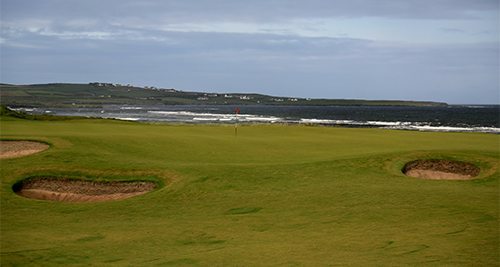 The Wild Atlantic Ocean laps the 1.5-mile beach that stretches alongside the challenging and thought-provoking links course. 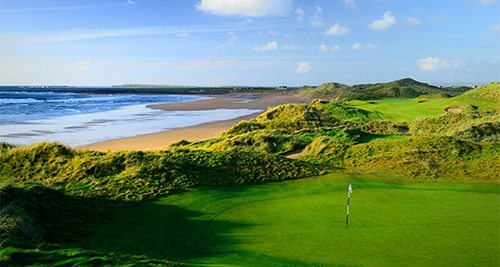 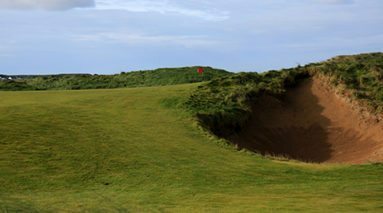 Originally designed be Greg Norman and redesigned in 2014 by renowned Course Architect Dr. Martin Hawtree,it is not only recognised as one of Ireland’s top courses but also among the elite of European Courses. 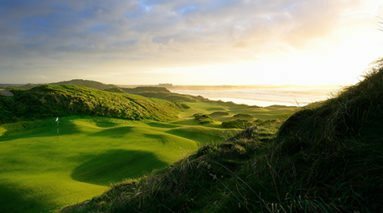 On average, the typical golfer takes 4 hours 30 minutes to navigate through the near-100 foot dunes that frame its borders. 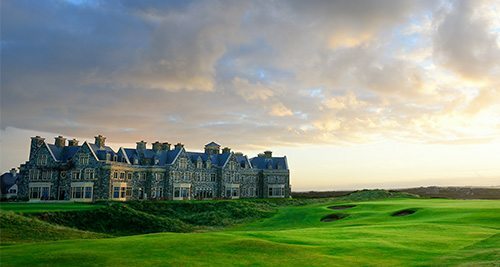 With views of the Atlantic accompanying you for 16 of its 18 holes, there’s plenty of time for strategizing and reflection in the grandest and open of environments. 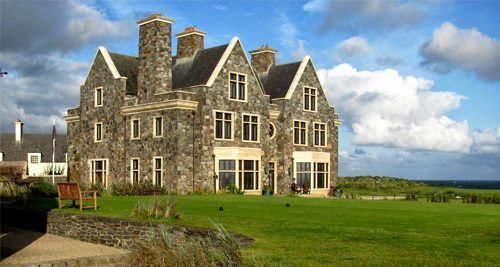 The clubhouse at Trump International Golf Links Doonbeg is one of the many highlights. 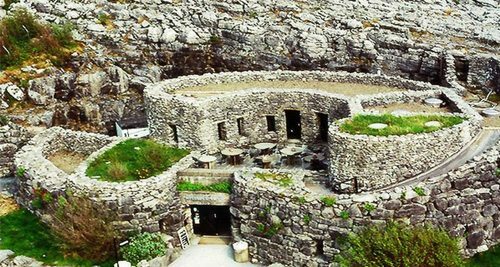 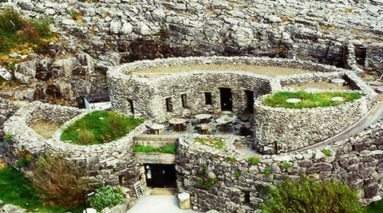 It blends in with the Lodge and its castle-like appearance is visible from far out on the links and is widely regarded as the largest clubhouse in Ireland. 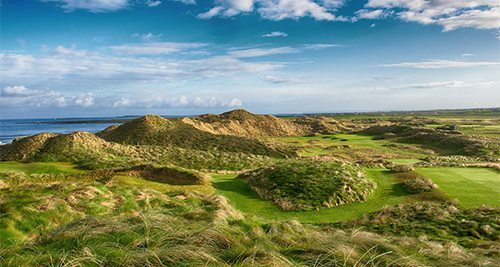 Located down the staircase from Trump’s Bar & Restaurant and fronting onto the main courtyard, the Pro Golf Shop at Doonbeg is designed to offer you mementoes, large and small, of your time there. 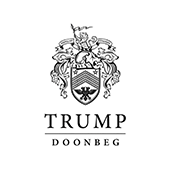 Trump Doonbeg’s golf shop clothing offers a wide range of items including prestigious brands and items fashioned from cashmere and other luxurious materials. 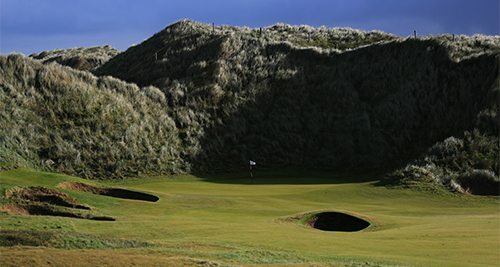 They also stock an extensive amount of golfing equipment, including clubs, bags and shoes. Though boasting all the benefits of modernity, the hotel reflects the old-age charm of its surroundings. 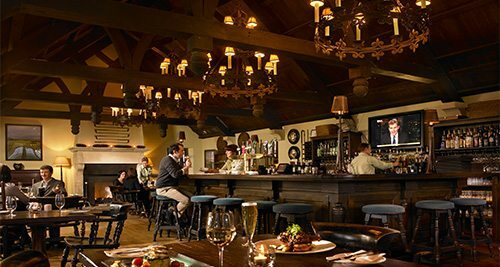 Its award-winning Ocean View restaurant is the pinnacle of oceanfront dining where guests are treated to a menu inspired by locally-grown ingredients. 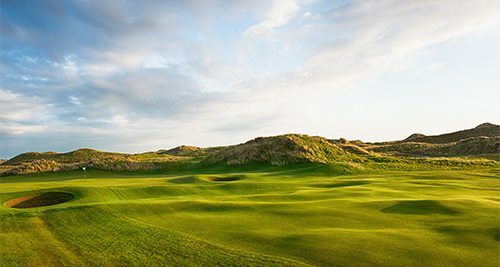 Guests can relax further in the luxury spa resort where a selection of spa and body treatments are offered to help distress your golfer’s elbow or simply to help aid a restful night’s sleep in the luxurious accommodation quarters.